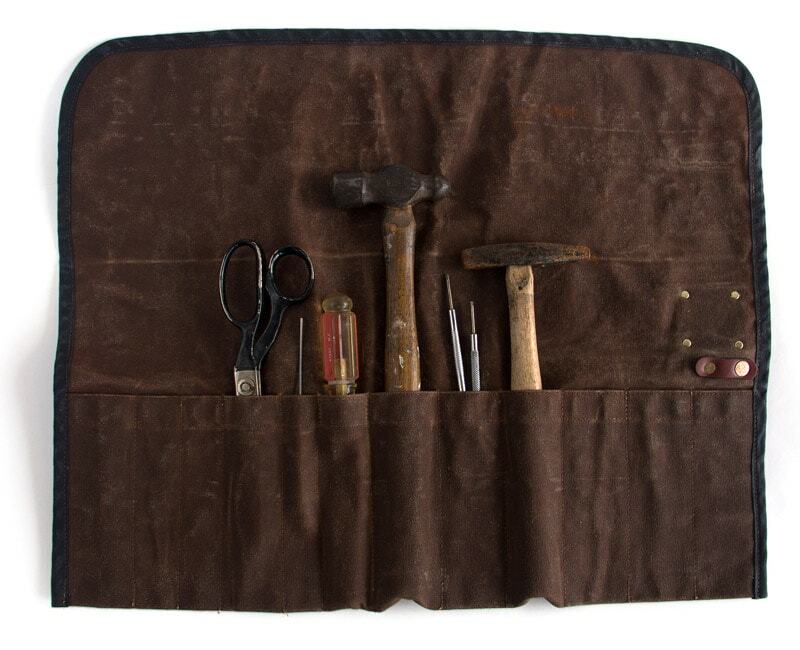 This handmade waxed canvas tool roll by the Sturdy Brothers is extremely practical and versatile. It holds anything from tools to painting supplies and can easily be rolled-up whenever you need to take your tools with you. 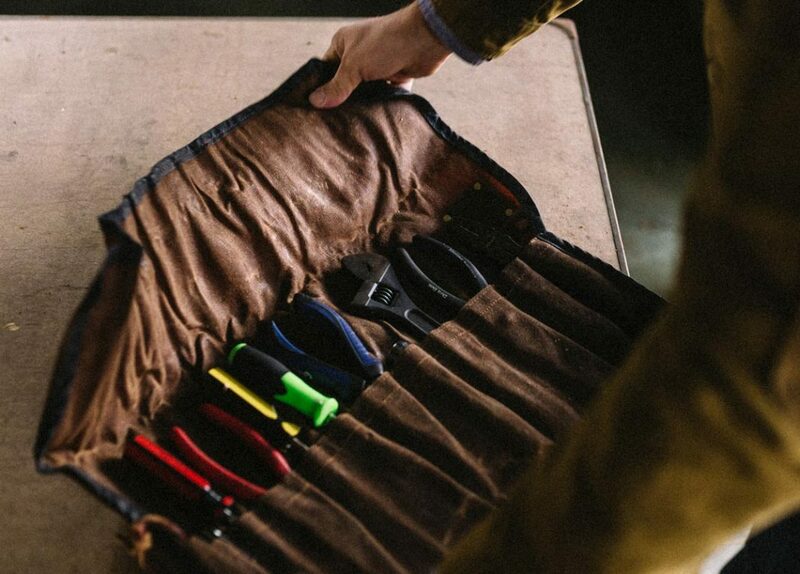 No matter your occupation or hobby, the tool roll will quickly be one of your favorite companions. 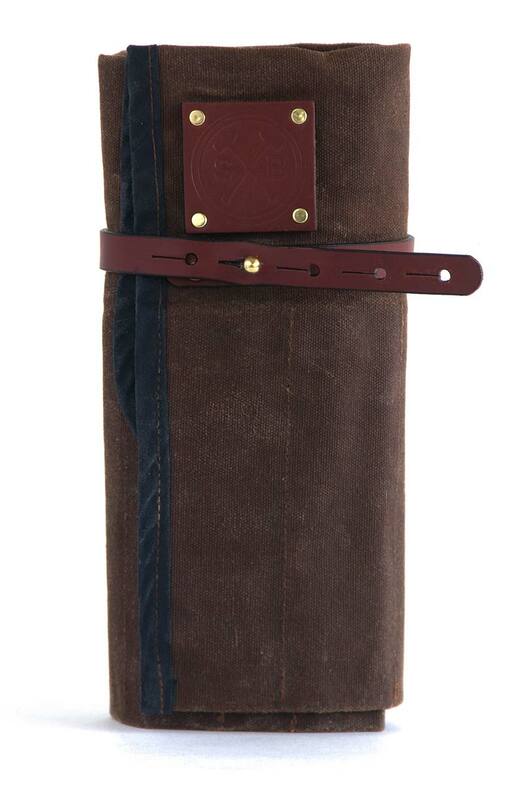 The traditional roll-up design with latch straps ensures that everything inside stays put and protected while the leather handle keeps everything together. There are pockets of different sizes and one large drop-in pocket to fit everything you need. 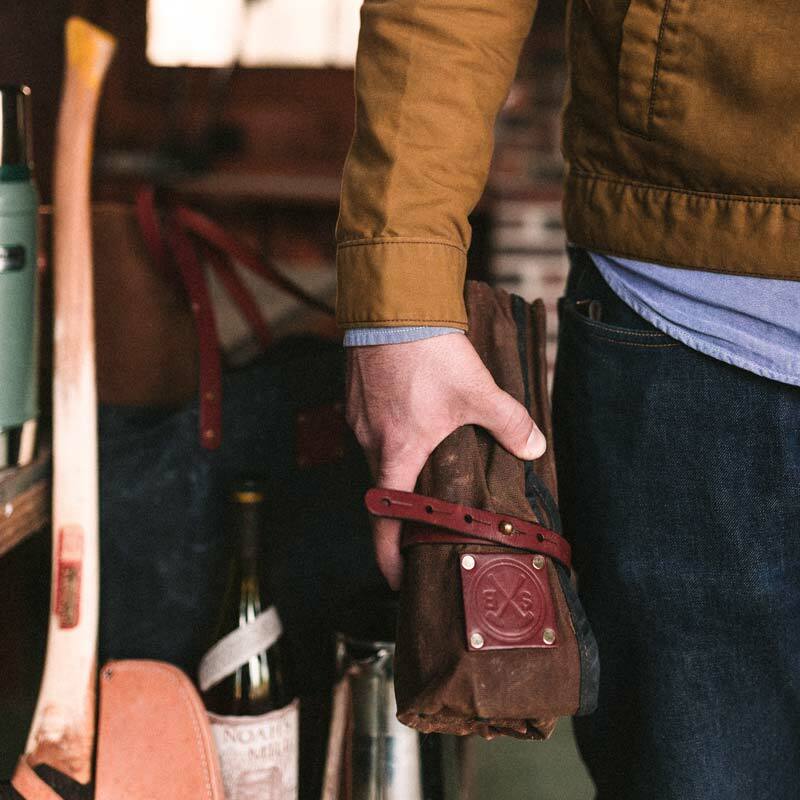 The tool roll is handmade in durable materials such as waxed canvas, leather, copper and brass.